When your Porsche needs routine maintenance or repair, your first inclination may be to head to a Bay Area Porsche dealer. But it may be time to take your brain off of autopilot — doing so can save you a significant amount of time and money without sacrificing the well-being of your prized vehicle. You don’t have to go to a Porsche dealership to get outstanding Porsche repair in the Bay Area. Independent repair shops often give customers a choice between original equipment manufacturer (OEM) parts or parts in a Porsche Box. Both types of parts provide 100% reliable performance on Porsches, but OEM parts cost less. Customers who are concerned about the bottom line may find this option very helpful. Additionally, independent shops have less overhead than flashy dealerships with their sleek interiors and well-manicured grounds. Porsche dealerships sell cars as well as service them. They spend significant money on cosmetics to appeal to customers considering buying a new car, and pass those costs on to customers. Beyond making sure their shops are clean and comfortable, independent shops don’t have to worry about aesthetics. They can focus on repairing and maintaining cars. Many independent repair shop technicians began their careers at Porsche dealerships. Not only do they possess the same experience as dealership technicians, they also participate in continuing education through Automotive Service Excellence (ASE) and other certification bodies. If you choose an independent shop to repair you Porsche, and if it comes highly recommended by existing customers, you can be certain the level of service rivals what you’d get from a dealership. 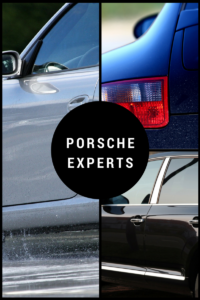 Unless you happen to live near one of the Porsche dealers in the Bay Area, you’ll quickly learn that depending on a dealership for your repair and maintenance needs is more about their convenience than yours. Because there are a finite number of local Porsche dealerships, you’ll be competing for repair appointments with myriad other Porsche owners who mistakenly believe that a dealership is their only option. You’ll also be dealing with the dealership staff, which knows many motorists think they have to trust the dealership in order to keep their warranty valid. As a result, the dealership has no real incentive to go the extra mile in terms of customer service. Independent repair shops depend largely on word of mouth and customer referrals to build their customer base. They have every reason to bend over backwards to ensure that customers have a positive experience at their facility. If you’re a Porsche owner in the Bay Area in need of service or repair for your car, don’t feel that you must go to a dealership. Contact us at Master Automotive in Santa Clara and let us prove to you that independent repair shops are the wise choice for skilled Porsche repair and outstanding service.